Ruhl was Algoma’s COO when he proposed the longer shipping season to the Commons Transport Committee last fall as it held hearings across the country on a Canadian Transportation and Logistics Strategy. The committee released an interim report in late February that included a recommendation that Transport Canada work with The St. Lawrence Seaway Management Corp. (SLSMC) and its users “to explore ways to increase year-round use of the St. Lawrence Seaway to transport goods within central Canada.” The review “should consider such issues as icebreaking capabilities, piloting fees, handling fees at terminals and docking fees,” the MPs agreed. While the government has until mid-spring to respond to that recommendation, Bruce Hodgson, SLSMC’s Director of Marketing, said the issue is being discussed with domestic and international ship operators and shippers. “We’ve looked at the market and the indications are that a longer Welland season would generate additional business. We’ll work through the process of fully considering the idea.” One possibility would be keeping it open for a few more days in late December to see what happens, he said. 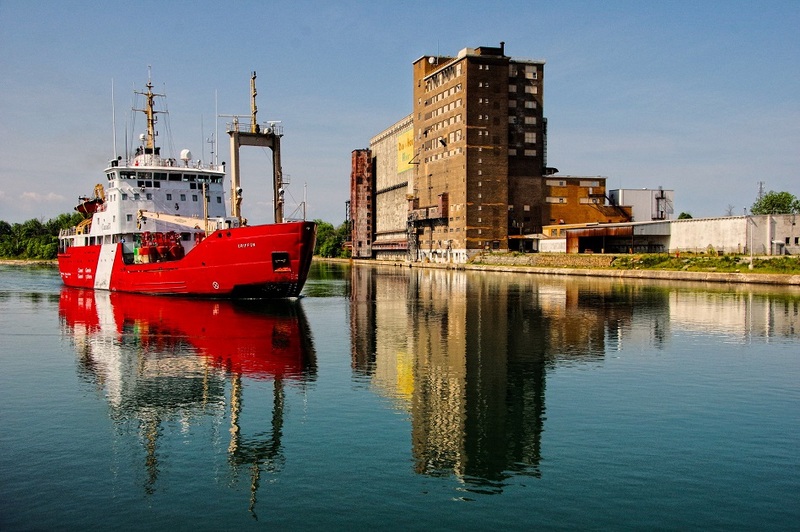 Steven Salmons, CEO of Port Windsor, said, “Intuitively, I think we would all like to see an extension of the Welland Canal for as long as possible and the Soo Locks too. Perhaps one day, with climate change, we may even see year-round shipping on the Great Lakes! “I would encourage the Seaway Authority to continue to consult with the shipping industry and pursue investigations as to just how feasible is it to extend the season and verify market demand and then they should be able to extend their operating season,” he said. Of course, there may also be a factor of demand that would be created by a longer season that is not immediately apparent within the existing season of operations,” he said. Mike Broad, President of The Shipping Federation of Canada, said a review of the closure of the full Seaway in late December should be made to see if a longer season was possible. Back in 1979, a study by the U.S. Army Corps of Engineers concluded that navigation on Lakes Superior, Huron and Michigan, as well as the St. Clair River and Lake Erie, was possible year-round, and that navigation on Lake Ontario was possible for ten months out of twelve. There would have to be provisions for halting navigation if weather conditions became unsafe for navigation. Shipping experts say that among the issues that would need to be resolved to consider year-round Seaway operation are the level of additional capital expenditures that may be needed, keeping the locks free of ice, providing suitable icebreakers to keep shipping lanes open, potentially higher pilotage costs and whether there would be a sufficient increase in business to justify the incremental costs. Any discussion of a longer season will bring to mind Federal Biscay getting stuck in the ice at Snell Lock in Massena, NY, in January 2018. It took three days to free her, during which time four other ships were held up. Eventually they all reached Montreal. High-pressurized steam was the main tool used to free the ship, though several tug boats were also deployed.